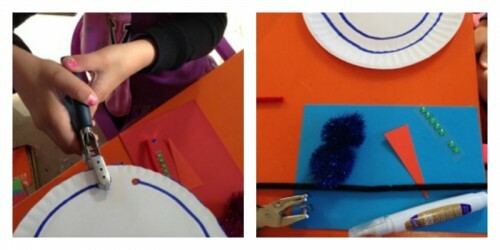 Don’t you just love holiday crafts? I wanted to share a fun holiday craft I’ve been doing with my class every Christmas. 1. Gather materials and arrange the work area. 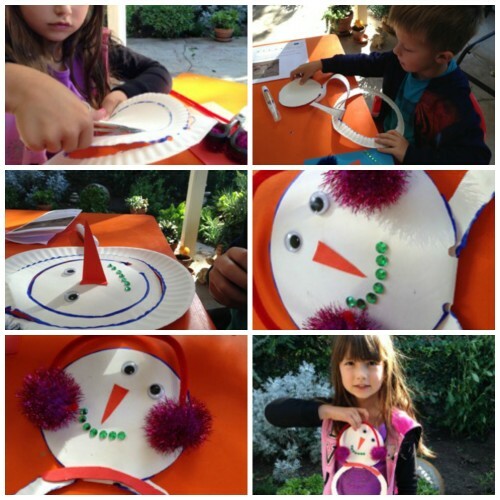 Draw two circles (cutting guidelines) on the paper plate to create the snowman shape. Note that each circle is not complete. Leave approximately one inch uncut on each circle line. Draw a dot at each ending. 2. Determine ahead of time if you, or the young artist, will be punching the holes and cutting the circles, and if you will use an awl or not for step 6. 1. Punch the holes in the outer circle and cut around the line on the plate pattern. Then do the same with the second, inner circle. 3. Add googly eyes, jewel smile, and a triangular construction paper nose. If you wish the nose to stick out, simply bend the wider end and only put glue on the folded end, not the tip. 4. Add 2 pompoms and cut and bend a chenille stick to make the earmuffs. 5. 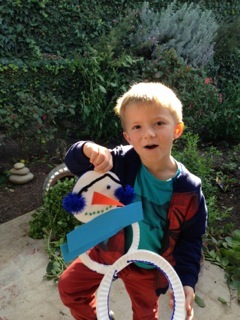 Cut out a scarf out of construction paper and glue it to the snowman. 6. 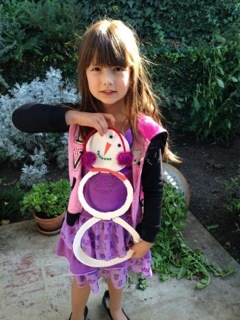 Once the plate is dry, unfold it and gently crease the fold lines to better display the snowman. Note: Buttons, jewels, etc. can be used to enhance the snowman. Our snowman’s mouth is made of green jewels!